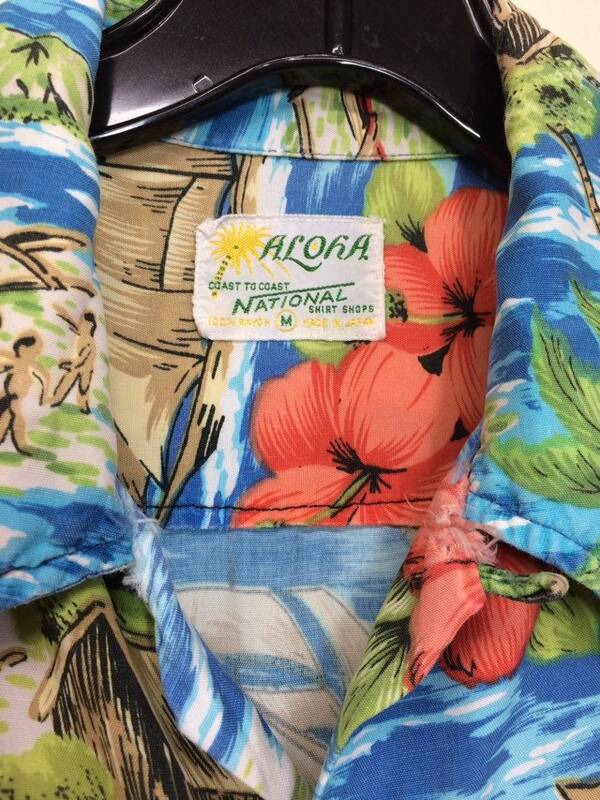 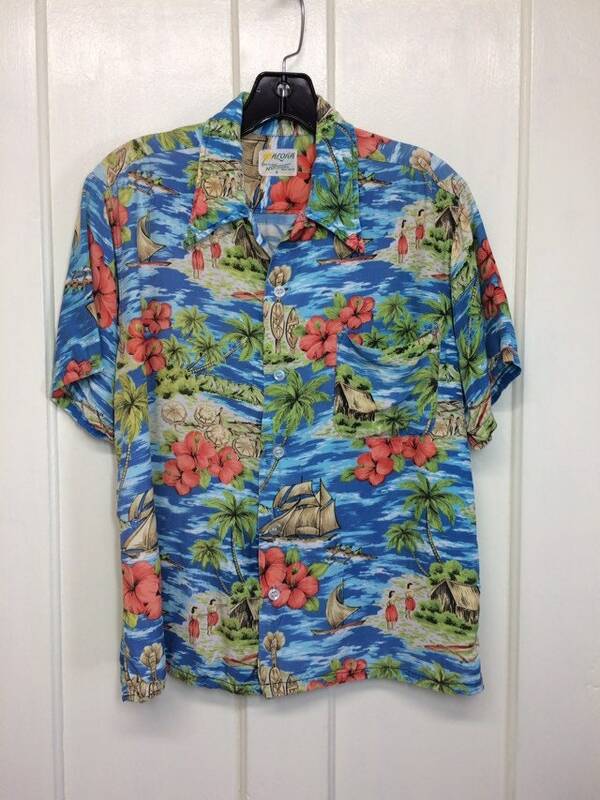 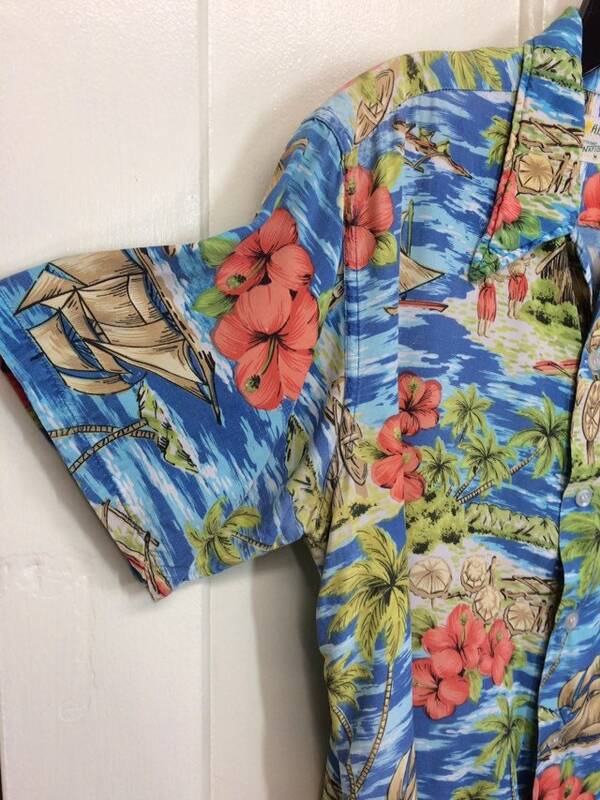 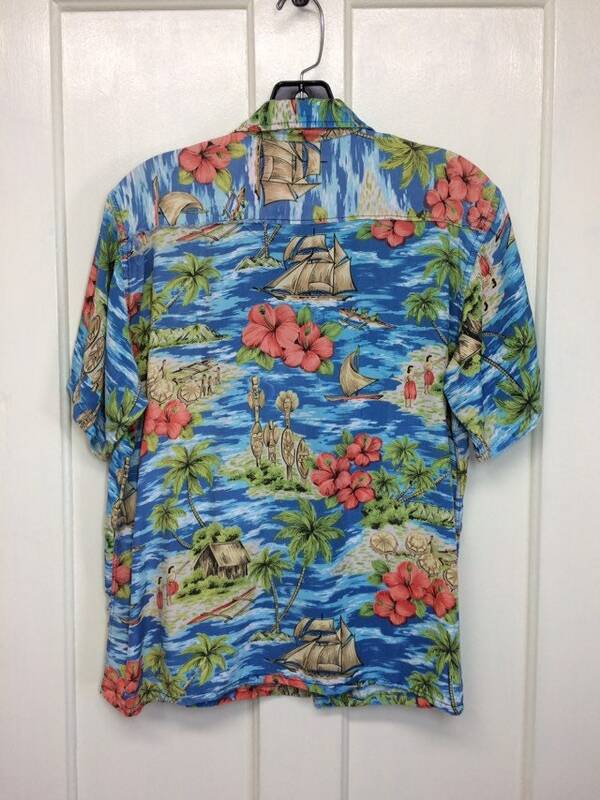 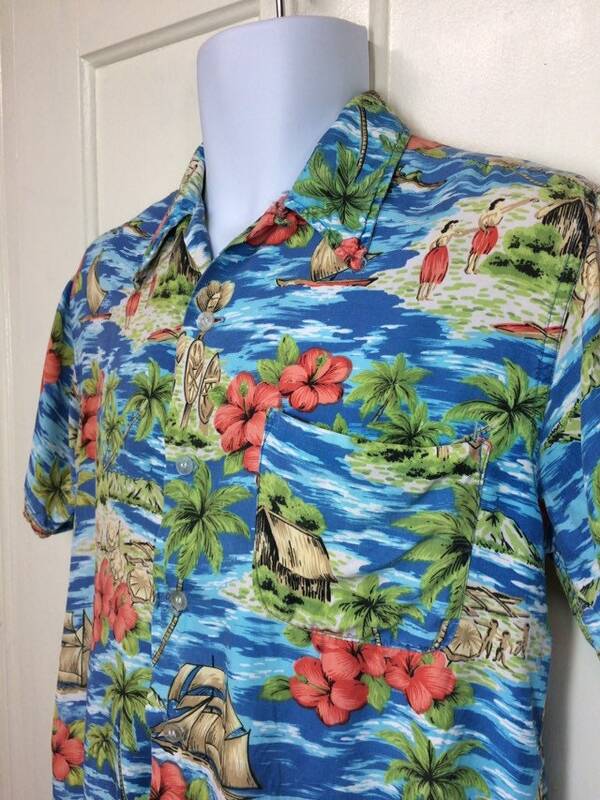 Here's a rayon Hawaiian loop shirt from 1960's. 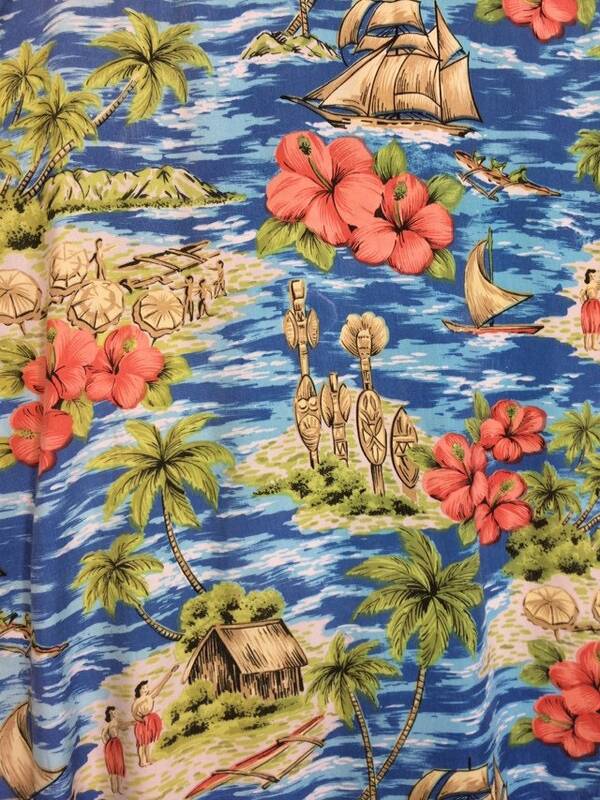 It has a tiki island beach surf scene with hula dancers and boats. 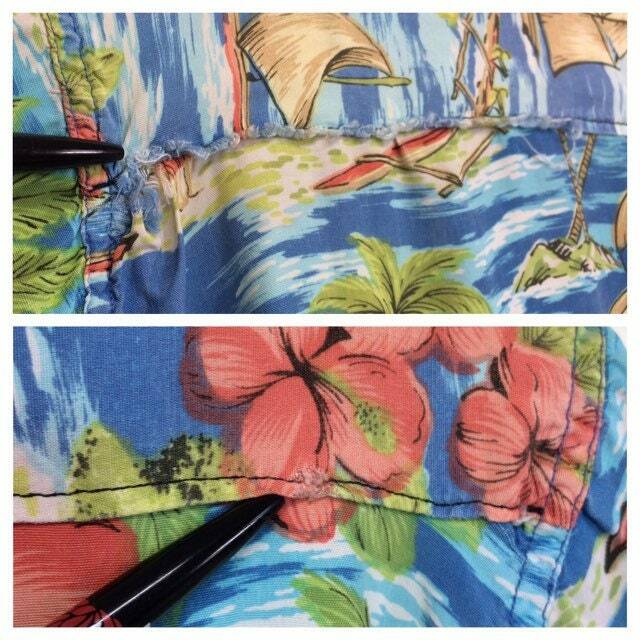 There's some fraying on 2 button holes and along the back seam. 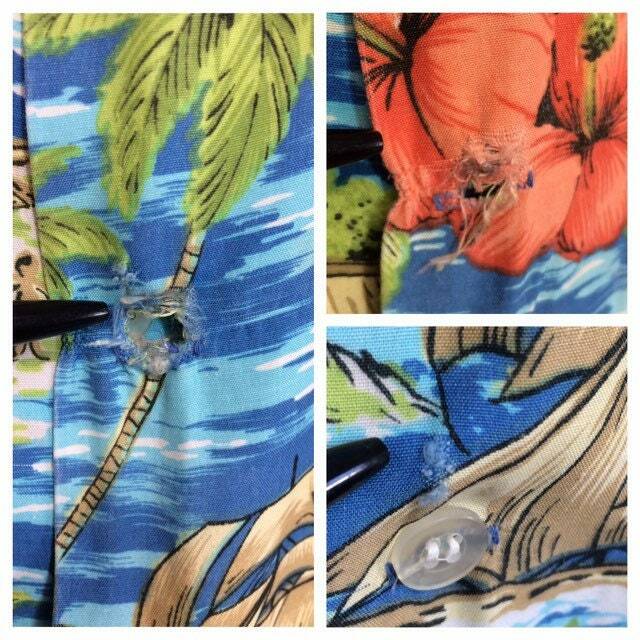 There's a hole where the back seam attaches to the left sleeve seam, a little fraying by the loop and a tiny bit on the back seam by the right sleeve. 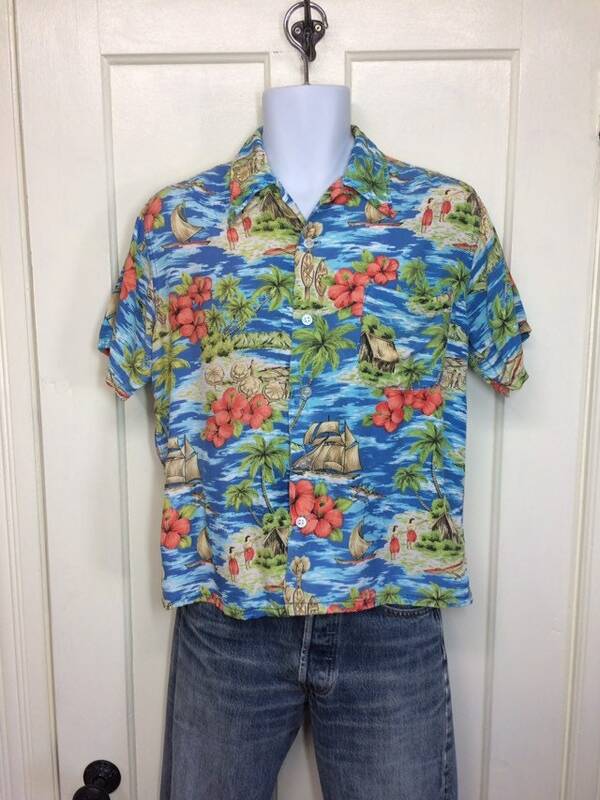 It's being sold as-is, see photos.